Adlock high performance cyanoacrylate instant adhesives are rapid curing, single component and solvent free. Adlock cyanoacrylate instant adhesives cure by reacting to minute traces of surface moisture in the material being bonded. Multi-purpose accelerator and resin ·Increases the rate of cure of Cyanoacrylate Adhesives (super glues) ·Improves bonding to difficult surfaces such as acidic materials ie. woods. Prevents penetration of adhesive into porous materials. ·Improves the cure of adhesive fillets. 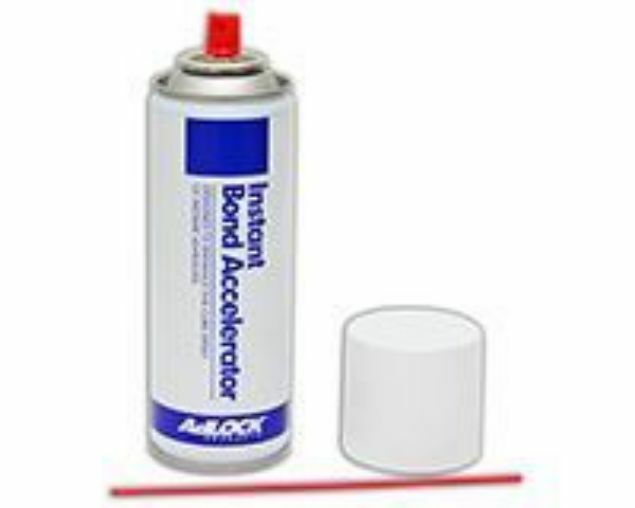 ·For use with Adlock Cyanoacrylate Adhesives. ·Speeds strength development to permit immediate use of the part.